Nights in Beirut | Melissa Tabeek. So, I have been attending some fun events and thought I’d share some of the photos. I finally have some professional equipment, and although I’m still figuring out how to use it, I’m really enjoying shooting with my stories for the first time. Also, I have a newfound appreciation for photographers shooting in low light! I did a story for Agenda Culturel on Onomatopoeia The Music Hub, and was lucky enough to end up there on a food night. It’s a really cool space and the founders are planning to elevate support for the music community in Lebanon, as well as do some interesting projects. Below are photos from Romy’s Food Night (delicious, by the way. She learned her badass cooking from her momma). More photo galleries to come soon (and hopefully they get better)! Stay tuned. 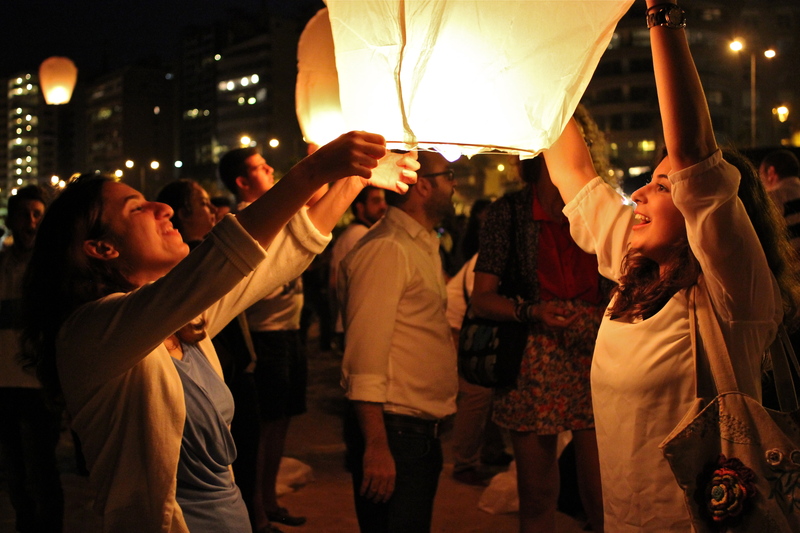 Light a Lantern for Lebanon. Reblogged this on Joe Geronimo.